In the past few years, the social media channel - which is primarily an avenue for people to post pictures - has emerged as a font of wisdom about food, gently nudging users in the direction of restaurants perceived to have Instagrammable food or places that are so beautiful to look at, they are immediately bestowed the title "Instagram-friendly". Few - if any - meals make it into most people's mouths without first being photographed to death. The reality is that in today's shoot-and-eat age, most restaurants benefit tremendously from putting thought into how their food and eateries will appeal through the filter of Instagram. Botanica+Co is an eatery that has often described as being Instagram-friendly. Owner Tay says restaurants now have to think about looking good as well as having good-looking food. "Yes, in the current dining culture, it is actually important when setting up a restaurant, to put thought into how food on the table will appear on Instagram. An appropriately designed placemat where the food or beverage is placed with the restaurant's branding can have positive effects on marketing. 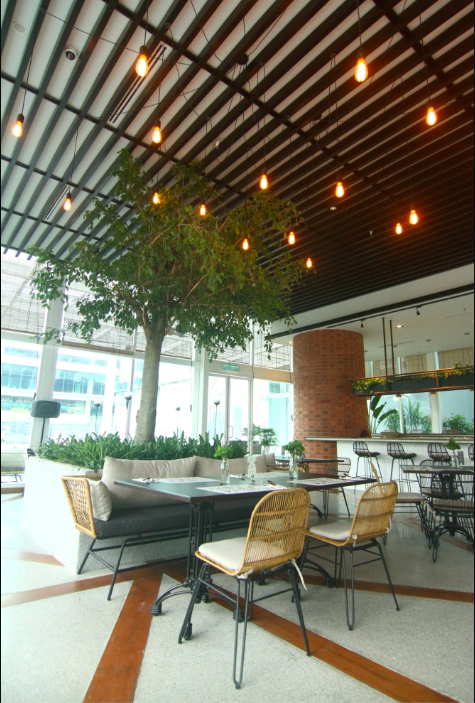 Other factors to consider include lighting and things like an Instagrammable wall or background," says Tay Hui Ying, the brand development manager of popular eatery Botanica + Co and semi fine-dining restaurant Entier. Botanica + Co itself is a beautiful restaurant encased in glass with foliage everywhere. Consequently, it is frequently listed on various blogs and food sites with the sobriquet "Insta-worthy". "Restaurants that want to be a notch above the rest now don't just have to ensure they have good food and service, they need to have a good design (and that can make it more Instagrammable). "And being Instagrammable is definitely a pull factor to draw a considerable crowd in," says Tay. 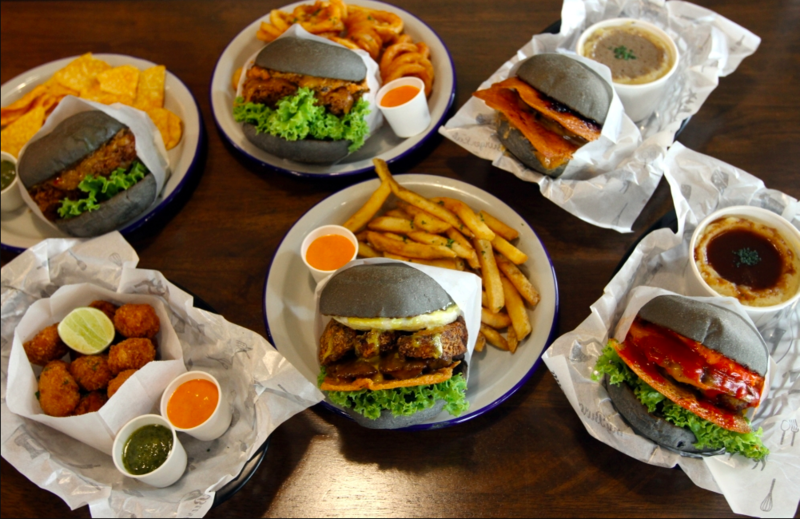 The popular local burger eatery became a huge hit when it was first established in 2012, with most people focusing predominantly on the novelty of the outlet's inky black charcoal buns. "MyBurgerLab was very fortunate to have been born in a time when Instagrammability was taking off. 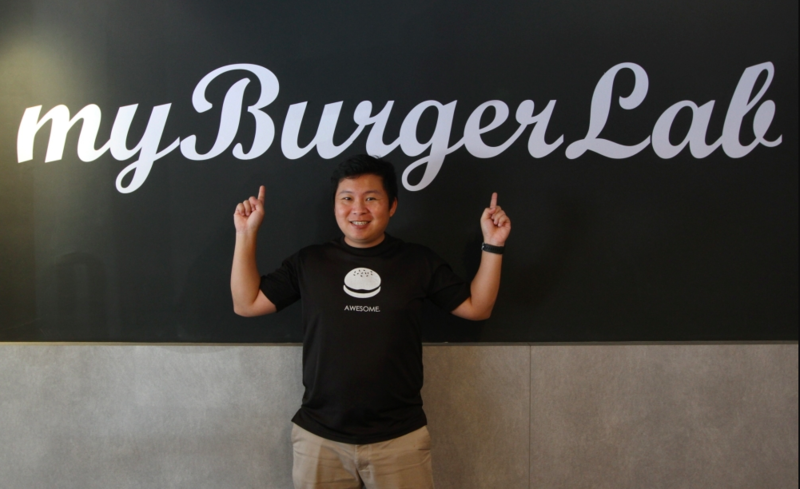 That's how our product got to the masses - because people were like 'Oh, that's a black burger'," says Renyi Chin, co-founder of MyBurgerLab. "Over the years, we have seen that restaurants work a little bit harder to create food that looks gorgeous, because the fact is a well-curated photo does entice people to want to give that restaurant a try," he says. Chin himself admits that MyBurgerLab's delicious concoctions are created for Instagram. MyBurgerLab catapulted to success off the back of their charcoal buns, which which became a trendy Instagram fixture. "Our products are designed to be Instagrammable. We put thought into assembling and think about things like how much lettuce and cheese should peek out. We consciously do it because we know we live in an Instagram world and we want to give ourselves every fighting chance to win one customer," he explains. The brand posts at least once a day on their Instagram site (which has about 44,000 followers) because these days, it's all about being remembered, or to put it another way - not being forgotten. "Almost everyone checks their Instagram at least once a day, so it makes sense for us to put something up every day because we are fighting for viewership. So if we don't put something up daily, we are missing out because people are creatures of habit and the habit right now is 'If 'I don't see your brand often enough, I won't remember you'," he notes. In many ways, restaurateurs' attempts to make their food and eateries as #instaworthy as possible are directly correlated to consumers' reactions to Instagram food posts. "Instagram has become the first platform I check for new cafes and eateries in town. In fact, I have a mental list of restaurants or cafes that I want to check out, and it's built through the Instagram posts or stories shared by my friends and the influencers I follow. Wong spends at least two hours a day on Instagram and relies on it heavily to find trendy new restaurants. "The more frequently I see these places on my feed, the more intrigued I am and I'll label it as the new hip place in town," he says. "I do think Instagram has become a platform for discovery among young people who love to cafe-hop, hunt for good food and hang out at the hippest joints in town," he says. Wong's observations are probably right on the money, because according to analytics site NapoleonCat, of the 11 million Instagram users in Malaysia, the highest percentage of them are aged between 25 to 34. Chin revealed that MyBurgerLab's data also shows that the overwhelming majority of their followers are in that age group. "I am usually attracted to artistically-curated images of coffee, desserts and/or dishes, as well as the interior design of these eateries - what people like to call 'hipster shots' or style. These would spark my interest to find out more," he elaborates. 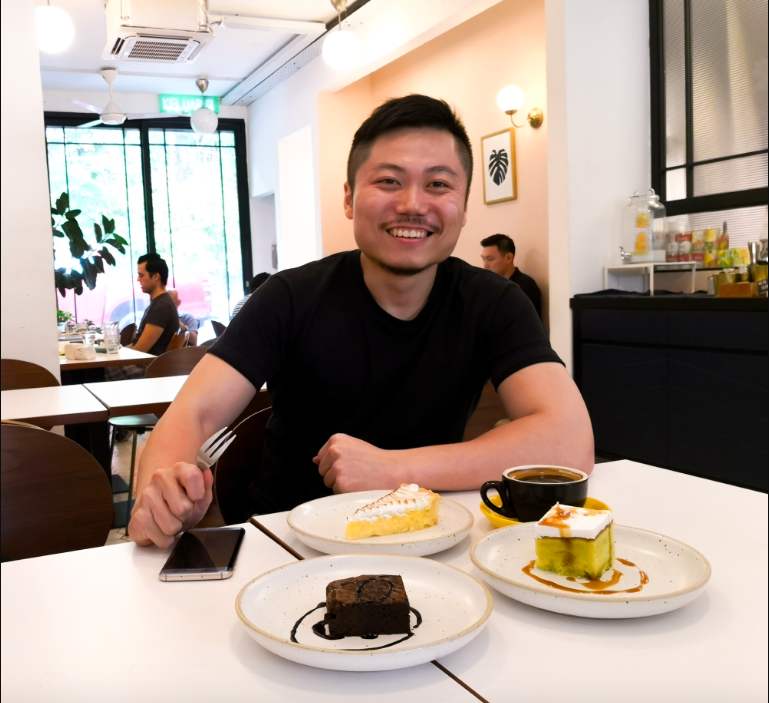 Given Instagram's dominance with the younger set, Wong agrees that most restaurateurs have to tap into this and up their game in terms of presentation. "I do expect cafe and restaurant owners to put in a little effort in food presentation. It gives me more reasons to share it on Instagram as well, and I believe this is the habit of many young customers today," he states. Both Tay and Chin underline the importance of ensuring that the quality of the food and diners' overall experience match the visual appeal, saying it is pointless having one without the other. "The trendiness of the restaurant can become outdated, but good food, with good aesthetics and good service are key factors in ensuring that the business has repeat customers - and in the long run, will be successful," says Tay. Chin says he has noticed that some younger restaurateurs are too immersed in aesthetic appeal, often citing MyBurgerLab's success on Instagram as a model example of why they want to head in that direction. "We have had the opportunity to meet a lot of young restaurateurs and too many times we see people who are passionate about creating a beautiful space, but when you ask them what the food's like, they're like, 'Oh, we'll just hire some chef lah'." Chin says having Instagram-worthy food is not enough, as restaurants must ensure the taste and experience match up too. "I won't deny that one upper hand that we had was the shock factor; it was the first time anyone had seen black buns in Malaysia on a large scale. And it did help us, but your core product must be good. The gimmick might not last forever, so it is important that restaurant owners recognise that they need to have an anchor. Our anchor is the taste and service at MyBurgerLab," he says. "I don't think Instagram is a platform to just sell items; I think it's an opportunity to tell a story, whether it's about your staff or the daily marketing. I think the longevity of a company is the ability for people to tie a certain amount of indirect ownership to the brand by knowing about the brand," says Chin.